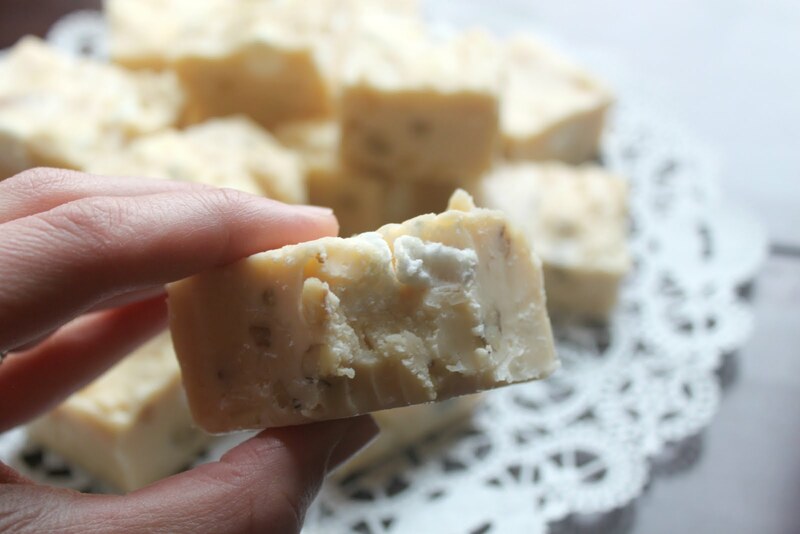 We’re so excited to introduce you to our first Winter Whites guest, Jen from eat.sleep.MAKE! 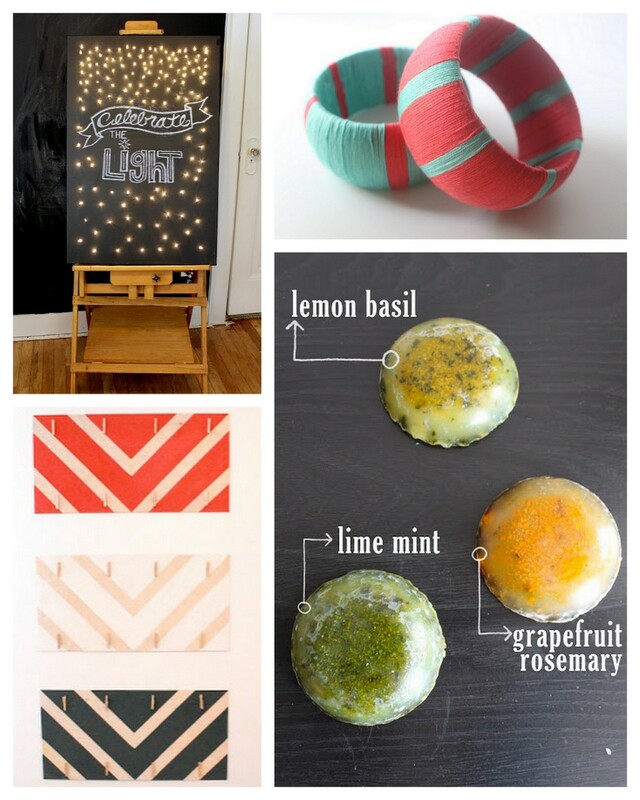 I love this bloggy sister-in-law team- Jen and Shannon share all sorts of fabulousness (like these DIY inspiration boards, these bangles, these citrus and herb soaps, and this a.maz.ing. light up canvas). Hi everyone, I’m Jen, and I blog with my sister-in-law, Shannon, at Eat. Sleep. MAKE. We’re so excited to be here sharing a project for the Winter Whites series! 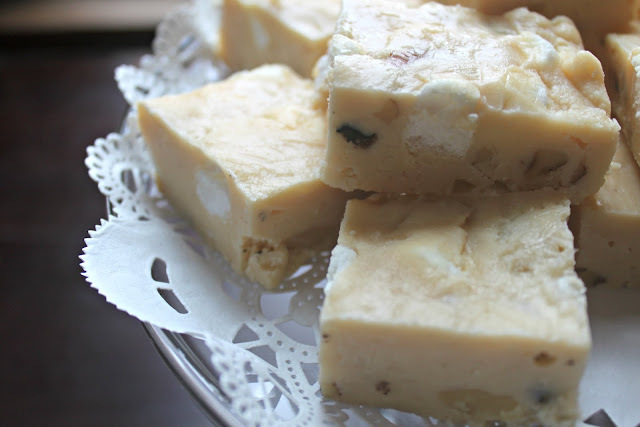 I had this amazing white chocolate fudge last month at a local outdoor store of all places – I know, not really the place you expect to find life changing fudge, right? 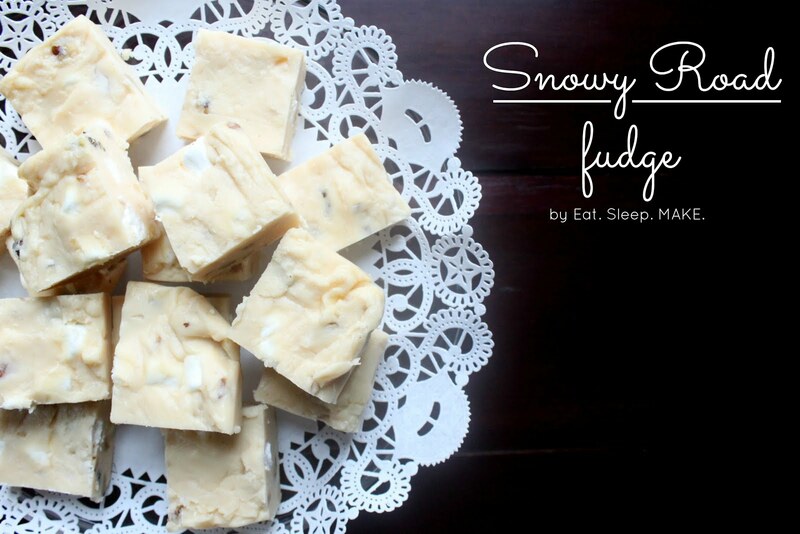 I don’t usually like white chocolate, but something about this particular fudge concoction grabbed me immediately. I took a bite and fell in love, then started mentally compiling the ingredients I needed to make it at home. There was only one problem – I couldn’t justify making it knowing I’d eat the whole pan myself. Then I got an email from Kirstin saying that she and Delia were hosting a Winter Whites series. INGREDIENTS: 6 tablespoons butter, 1 can (12 oz) evaporated milk, 1/2 cup marshmallow fluff, 2 cups sugar – I forgot to include that in the picture, 12 oz white chocolate (I suggest Lindt white chocolate bars because they’re amazing), 1/2 cup flaked coconut, 1/2 cup chopped walnut pieces, 1 tsp vanilla extract, 1 cup mini marshmallows. SIX: chill your fudge in the refrigerator for 1 hour or until the fudge has set. Cut and serve. If you’re having a hard time getting the fudge out of the pan, run some warm water along the bottom of the pan. I hope you enjoy making (and eating) this fudge as much as I did! Thank you to our wonderful hostesses at Delia Creates and Kojodesigns for having us! Shannon and I would love for you to visit us at Eat. Sleep. MAKE. to check out our other projects, home decor and recipes. You can also find us on Facebook, Pinterest, and Twitter. 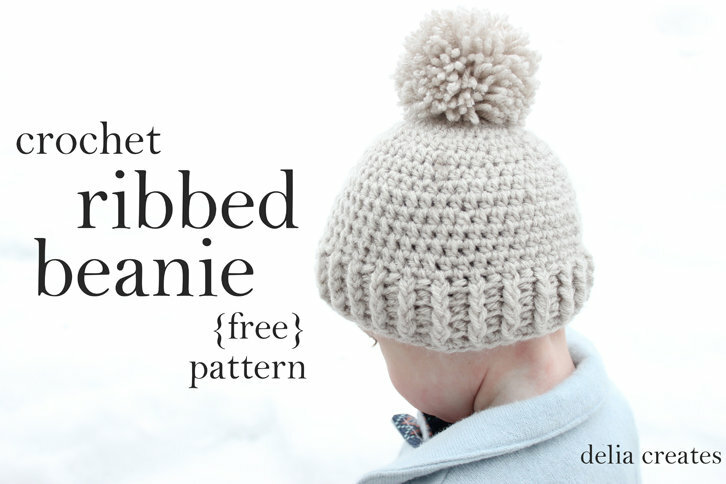 Be sure to head over to delia creates to see some crocheted, pom pom-y, winter-y goodness as well! Thanks so much for including us in your awesome series, can’t wait to see the other projects! Jen, thanks again for joining us. Off to make some fudge! I think my hubby would love this! Looks delicious! I met you ladies when you were hosting that Christmas crafting event at Rosewood. It’s fun to see you on kojo! Oh my goodness…this look so delicious. What a clever name too! Pinning it! I’m really excited for more of your Winter Whites series. Hi! 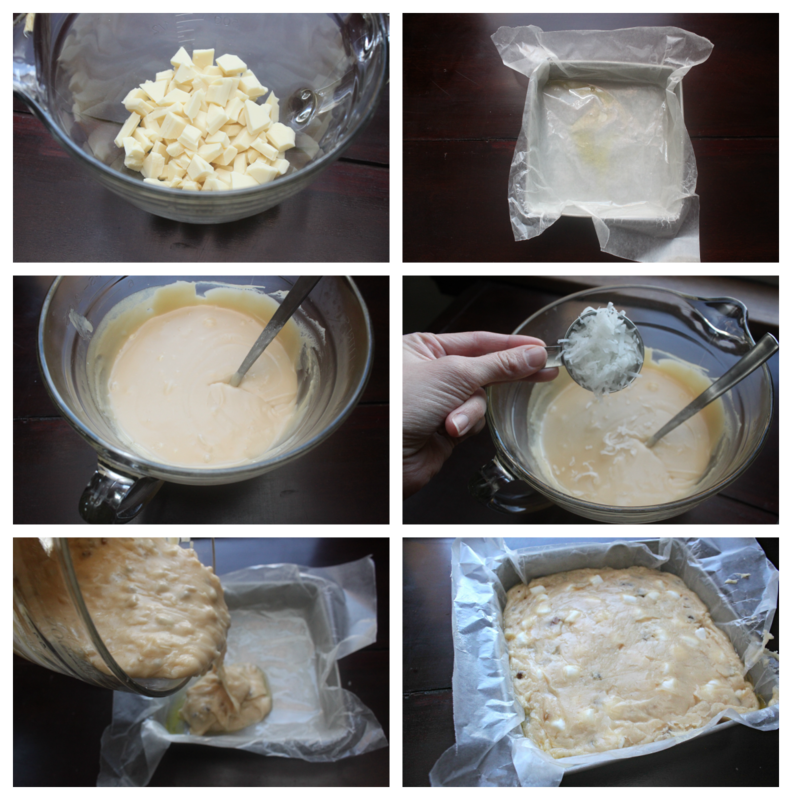 I tried to make this…but I was kinda confused that the recipe said “boil for 25 minutes, stirring constantly.” Well…when I did that, and then tried to pour it over my white chocolate pieces…it all clumped together and became incredibly difficult to stir.. Can you tell me what I did wrong?